Rabbi Lookstein leads a festive Shacharit Service including Hallel recited with a bracha. Celebrate Israel's birthday with music, food & fun activities for families with children of all ages. No charge. RSVP at ckj.org/bbq. 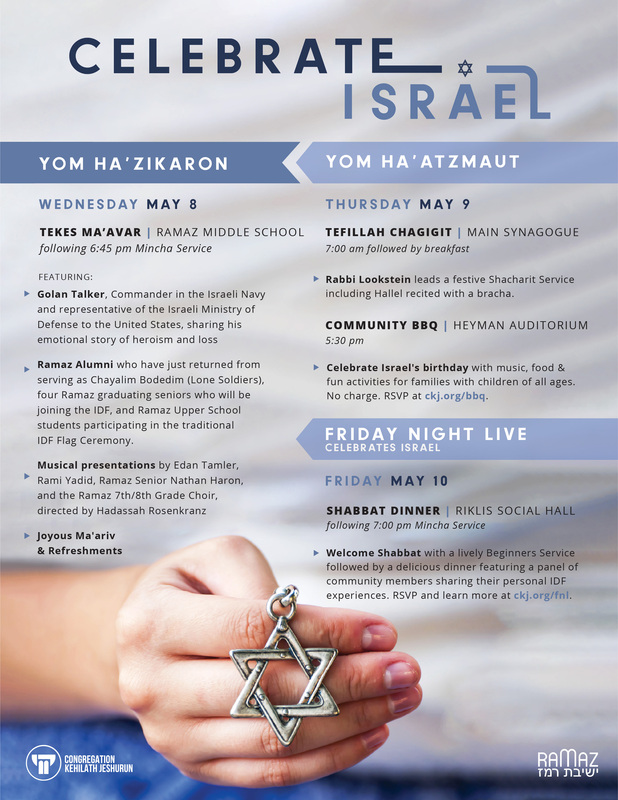 Welcome Shabbat with a lively Beginners Service followed by a delicious dinner featuring a panel of community members sharing their personal I DF experiences. RSVP and learn more at ckj.org/fnl.